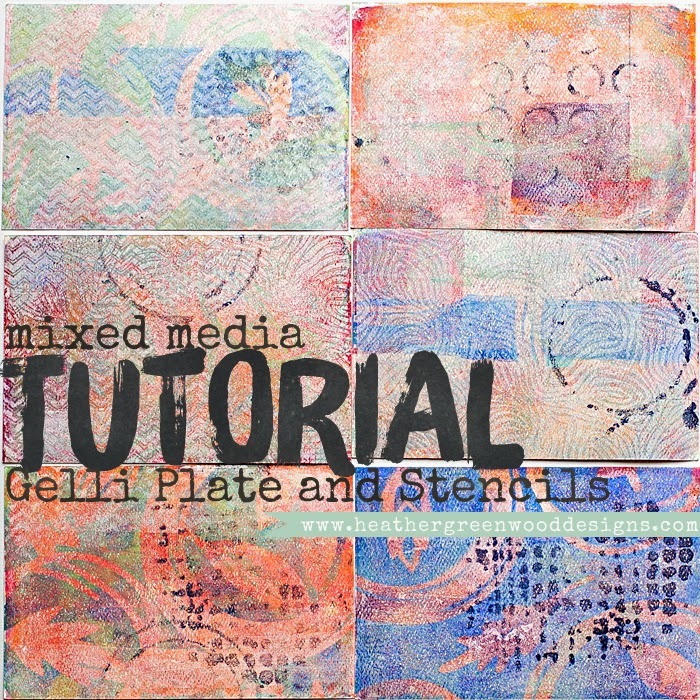 We're back with a new edition to the Gelli Plate series. 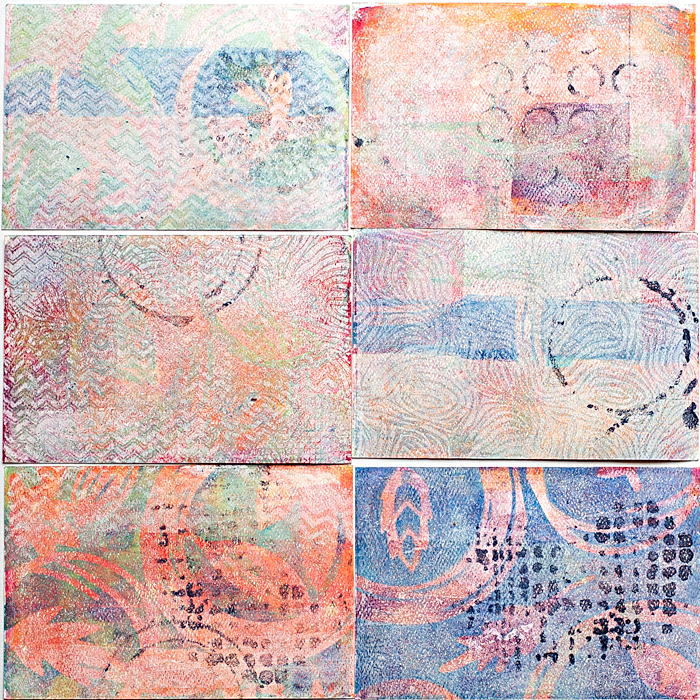 First, we made simple backgrounds, then we used masks, and last week we used texture. 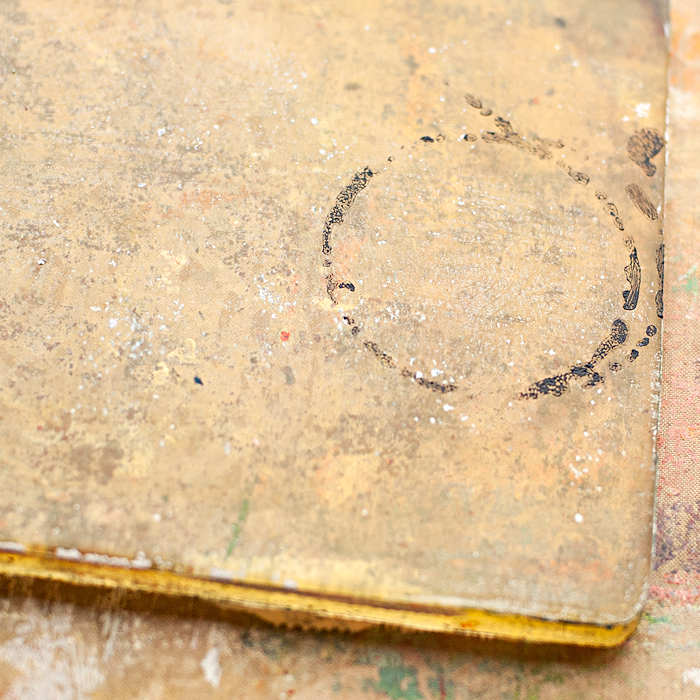 This week we'll be using stencils. 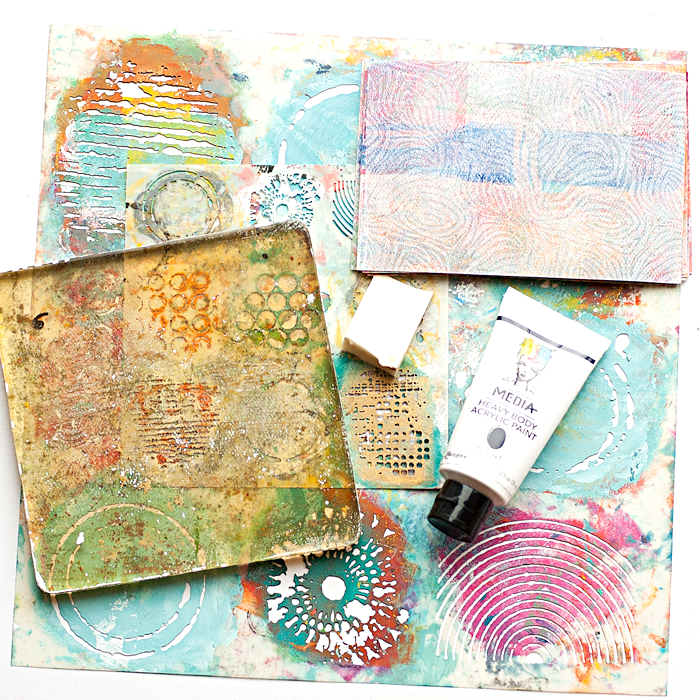 I know you can just dab paint through a stencil straight onto your project, but let me show you how fun it is using a Gelli Plate. 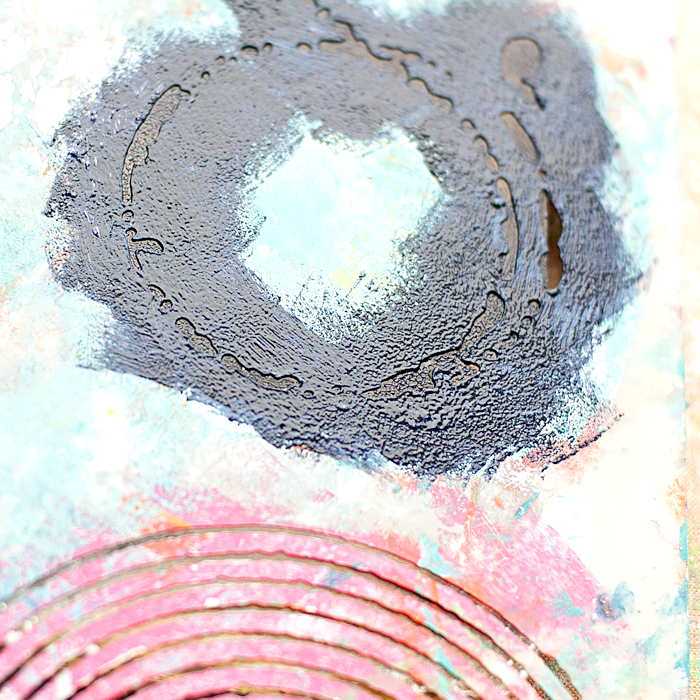 This is just another simple, few step tutorial, but adding this extra layer to my cards really makes me happy! 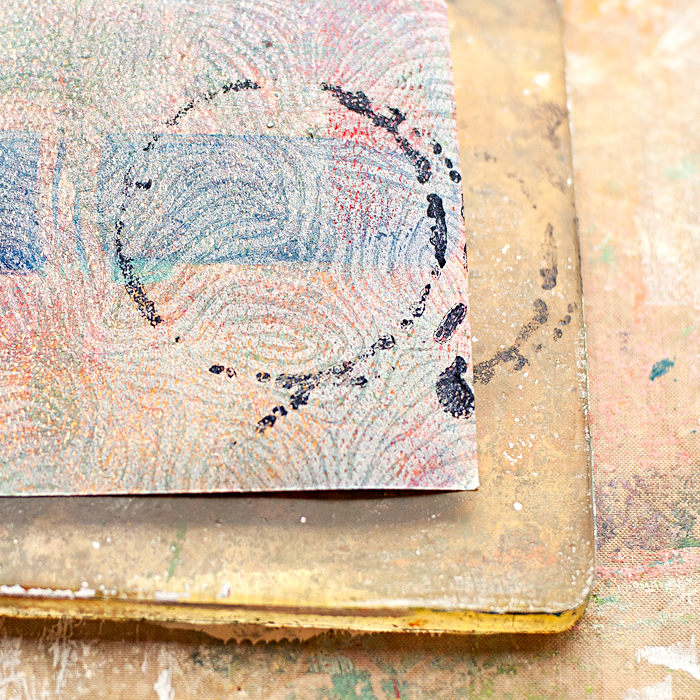 STEP SIX: place your paper over the Gelli Plate and rub it into the plate to pick up the stenciled paint. 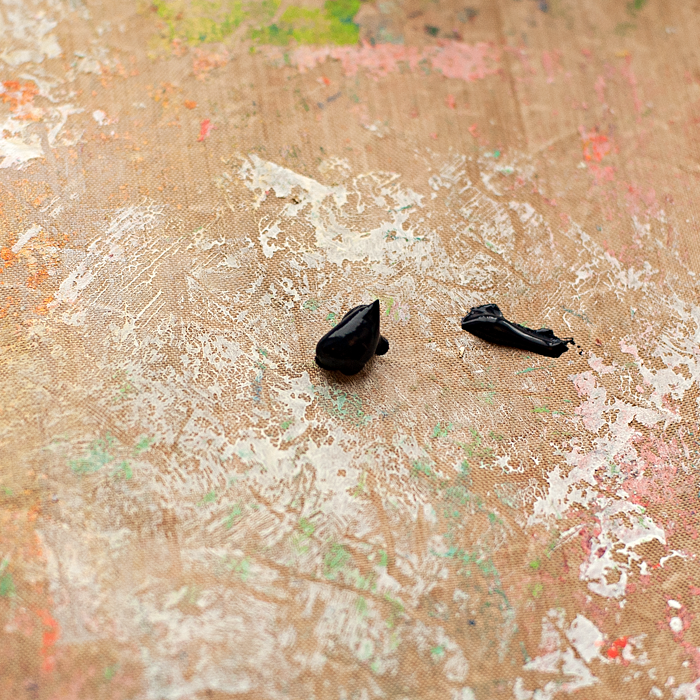 STEP SEVEN: Lift off your paper and VIOLA!!! 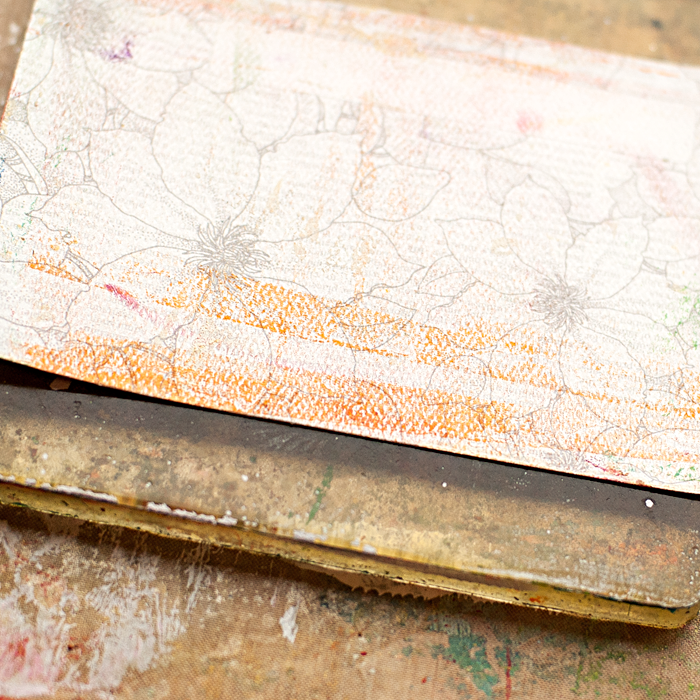 Repeat the steps over and over again adding one or multiple stencils onto your plate before picking up the print. I think my favorite is the bottom right, YUM! 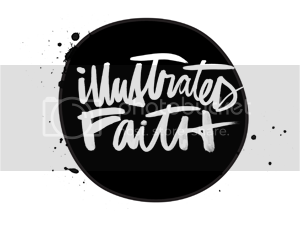 Next week, we'll be adding more onto the 4"x6" cards and concluding this series. I'll be sure to use these in my layout showcasing Thanksgiving week. I can't wait, to finish these cards up and use them! 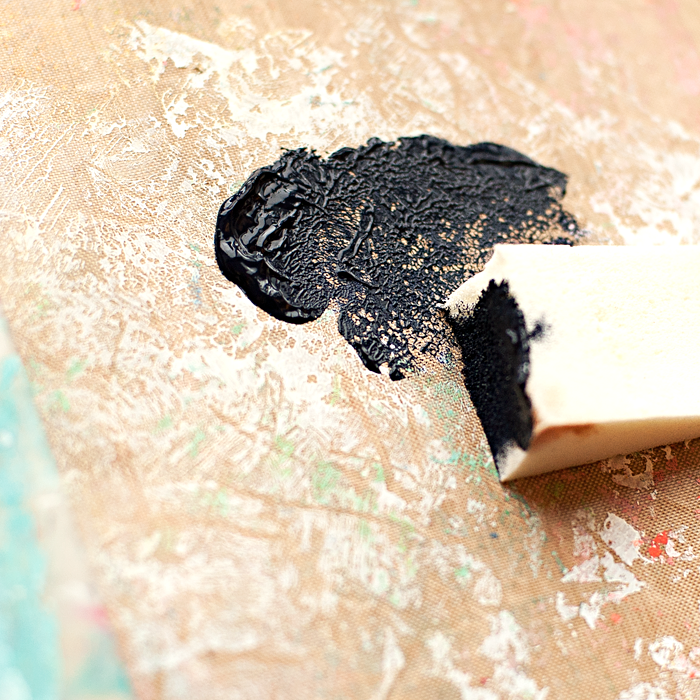 Then we'll be on to doing some fun mixed media Christmas projects!